This tragic Kentucky automobile crash happened as 5:30 a.m. Tuesday morning on the US 127 Bypass. A major factor in this accident was extremely thick fog that hampered visibility. Dylan Tucker was driving his Chevy S10 southbound when Michael Devine turned left off of US 62 into the wrong lane of traffic on the US 127 Bypass. Mr. Devine drove northbound in the southbound lane of the Bypass and hit Mr. Tucker’s vehicle head-on. Emergency crews had to cut/extract each of the men from their vehicles due to the damage and severity of the crash. Both men were taken to University of Kentucky Hospital to be treated for the injuries, which are listed as critical and severe. This a tragic accident that was not intended, but points to the reality that even when weather such as fog is severe, drivers have to take precautions to avoid accidents and control their vehicles properly, including potentially not driving at all until the weather clears. Even in severe weather, drivers in Kentucky owe a legal duty to others to maintain control of their vehicles, which would include not driving in the wrong lane of traffic. Mr. Tucker was in control of his vehicle, traveling the proper lane of traffic. Mr. Devine was not. Even though Mr. Devine did not intend for this accident to happen, and fog impaired his visibility and judgment, he is still legally responsible for the accident. Mr. Tucker is an innocent party who is suffering, incurring medical bills, and whose future is uncertain at this point. As such, under Kentucky motor vehicle laws, Mr. Devine and his auto insurance carrier should be held legally responsible to Dylan Tucker and his family for the legal damages resulting from this accident, including compensation for their suffering. 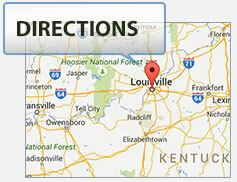 (Click here for a LINK to further explanation of Kentucky legal damages).